I’ve been a buyer, a renter, a landlord, and an Eastham resident. My family began coming to the Outer Cape in 1986. We camped in Wellfleet and greatly enjoyed the beaches and the time away from the daily hustle and busy-ness of our lives in New York. For the next 10 summers we rented vacation homes in Eastham. In 1998 we stretched and bought a vacant lot, building a classic Cape-style home the next year. To assist in ‘paying the mortgage’, we rented the house during the summer seasons, enjoying it ourselves off-season. In 2002 I ‘retired’, after 32 years, to my vacation home in Eastham. That began a new ‘career’. My extensive marketing background, my computer skills, and my love for people have allowed me to excel at selling real estate. What’s this mean to you? 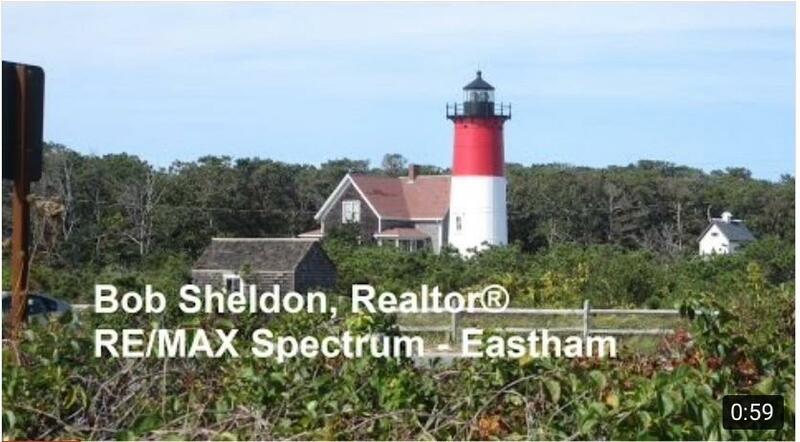 It means that I’ve been a buyer, a renter, a landlord, and an Eastham resident. I’ve been where you are. I can answer your questions about buying and selling, renting and owning. Living in Eastham has allowed me to enjoy a casual lifestyle and selling real estate has allowed me to meet interesting folks who want to enjoy the Cape lifestyle also. I've earned my Accredited Buyer Representative designation. Why hire an ABR? A buyer’s representative (or buyer’s agent) will be your advocate for the entire real estate transaction. I will provide full fiduciary (legal) duties, including loyalty and confidentiality, to my buyer-clients and keep only their best interests in mind through the entire transaction. Whether you are planning to buy your dream home or sell your existing home, contact me today! Call me at 508-237-9545. Bob Sheldon is a licensed broker in the Commonwealth of Massachusetts. I have been a member of the RE/MAX 100% Club for each year 2006 to 2018 and Platinum for 2010, 2012, 2014 - 2018. I am a member of the RE/MAX Hall of Fame. Membership in the REALTOR® organization is a professional distinction which places me among the top 25 percent of all agents licensed to practice real estate in Massachusetts. Anyone with an active real estate license from an approved school may apply for membership, however only those accepted as members may use the registered trademark term REALTOR®, an industry mark which symbolizes one’s personal commitment to real estate as a career pursuit and sets me apart from the estimated 75,000 non-member real estate agents and brokers in the Commonwealth. My office is located at 180 Brackett Rd - Suite 1, in Eastham.